Hello! I am Rev. Dr. Megan Leary, but please feel free to just call me Megan! I have been the Pastor of the Central Congregational Church since May 2007. Before coming here to Orange I served a National Association of Continuing Congregational Churches congregation in Colchester, CT. I grew up in Worcester, MA where I attended Holy Name High School and moved on to Anna Maria College in Paxton where I majored in Social Work. I earned my Master of Divinity at Andover Newton Theological School, graduating in 2002 and was ordained at Greendale People's Church in Worcester on June 9 the same year. 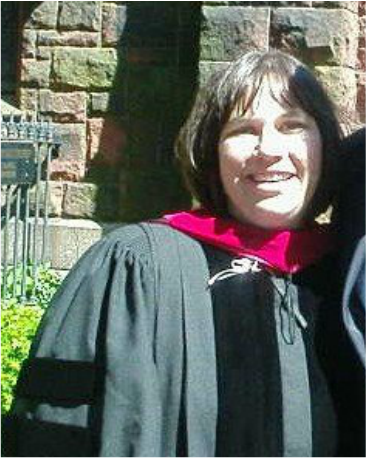 I earned my Doctor of Ministry degree from Bangor Theological Seminary in 2010. 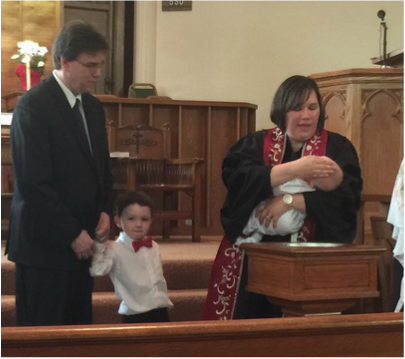 In addition to being the Pastor of the Congregational Church of Orange I am a full time wife and mother. Bill works at Fidelity Investments in Rhode Island as a Scrum Master and serves as a Deacon of the church. We have two boys--Connor and Patrick who are learning the "ins and outs" of being "PKs" (Preacher's Kids). Together we enjoy hiking, playing games, and just being silly! Click here for the most recent "Pastor's Ponderings"